UWillDaily is Nigerian largest entertainment portal. You get all the latest news update on the go! 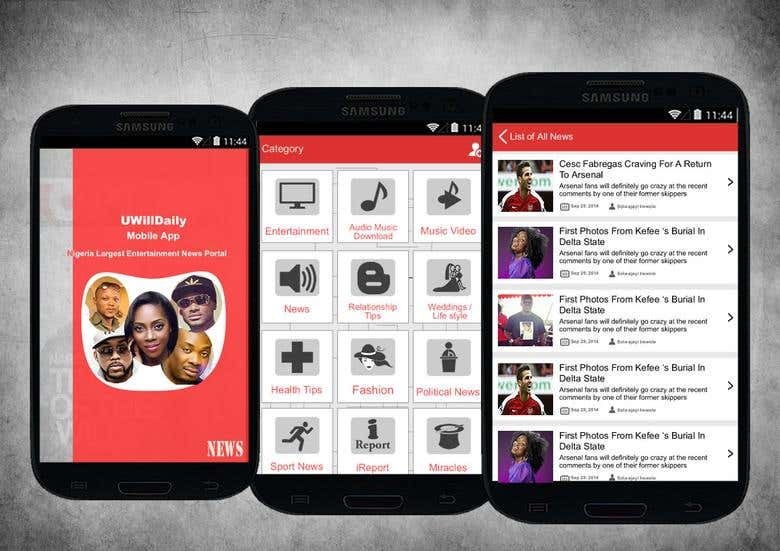 With UWIllDaily\nMobile App, You get all the latest entertainment news, Fashion tips, Relationship tips, Music Videos & Audio\nDownloads, Political News, Nollywood Movies and foreign movie reviews on your mobile phone. UWillDaily was\nrecently awarded the Most Updated web Platform of 2014 by BEA. We simply bring entertainment to your door-step.